Motorists are receiving a fraudulent e-mail stating they will lose their licence if they fail to verify personal details online, the Driver & Vehicle Licensing Agency confirmed (DVLA). It is likely that thousands – perhaps hundreds of thousands - have already received this message that claims to be from the DVLA. The email contains a link to a website that resembles a legitimate online service. It also instructs the victim to enter his/her licence number plus a means of payment such as a credit or debit card number. 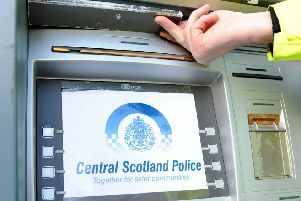 The fraudster can then use this information to pay for goods and services. Perhaps more seriously, the driver might become a victim of identity theft. The DVLA continued: “The government - led by Cabinet Office’s Government Digital Service - will continue to investigate reports of organisations which may be actively misleading users about their services or acting illegally, taking swift action when necessary.” A culprit could be arrested then imprisoned for fraud, for example. Scams of this nature extend beyond a single e-mail. The DVLA recently said it is “aware” of a number of websites “passing themselves off” as official sites. Some try to attract motorists that require a licence, for example. It said: “These websites often claim to offer value added services to ensure your application is correct before you send it to DVLA. However, using this service will mean you can end up paying as much as three times the normal price” for your licence. These services are “in no way affiliated with DVLA”. How to avoid this online scam? The Driver & Vehicle Licensing Agency said: “By using the online driving licence or vehicle tax services on GOV.UK, you can be sure that you are dealing directly with DVLA - and you will not be charged any additional fees”. It explained: “Always start at www.gov.uk” rather than via a search engine where less honest sites might appear in the sponsored links or paid for section. Furthermore, it claimed that such sites: “Often break the search engine providers’ terms and conditions” and should be reported as necessary. Such sites can then be removed from any search results.